Aloe has long been hailed as a great medicinal plant due to its anti-inflammatory properties. Perfect Aloe Matrix is a more potent product than the Perfect Aloe Juice, and is based on R&D carried out by world leading microbiologist and aloe expert, Dr Ivan Danhof*. 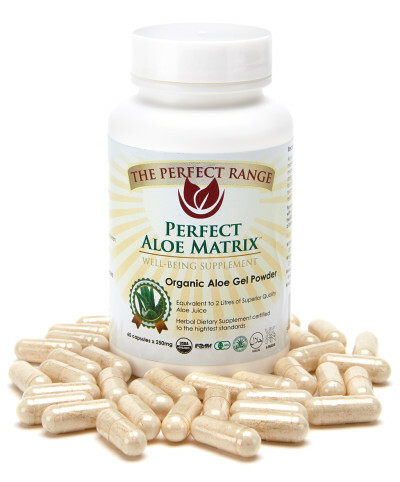 Ideal for sportspeople, athletes and people with an active lifestyle, this specialist, high-quality organic aloe vera supplement is produced to the highest quality, standard and effectiveness.